An inspired, sculptural form, of fluid, strokeable lines, Satellite is a signature design that makes for an unusual, distinctive wedding ring. 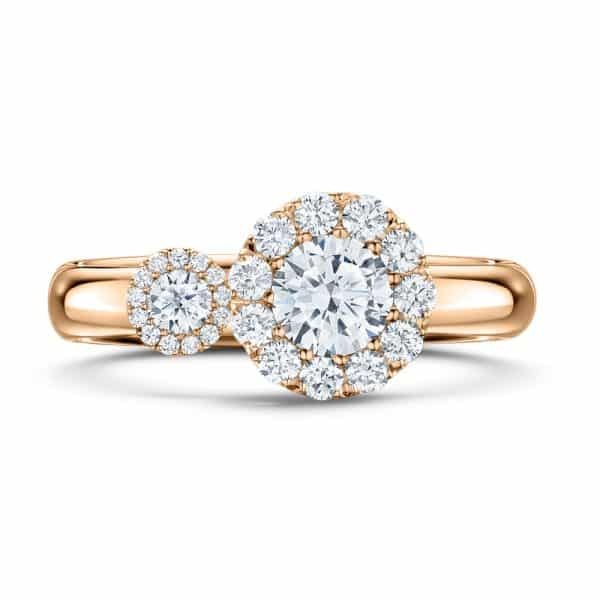 Its varied stone sizes, positions and asymmetry create an extraordinary piece of jewellery and the intensity of those diamonds make it one you’ll treasure forever, the solitary second diamond an eternal satellite to the central stone. A wonderful display of diamonds, centre stone G VS2. 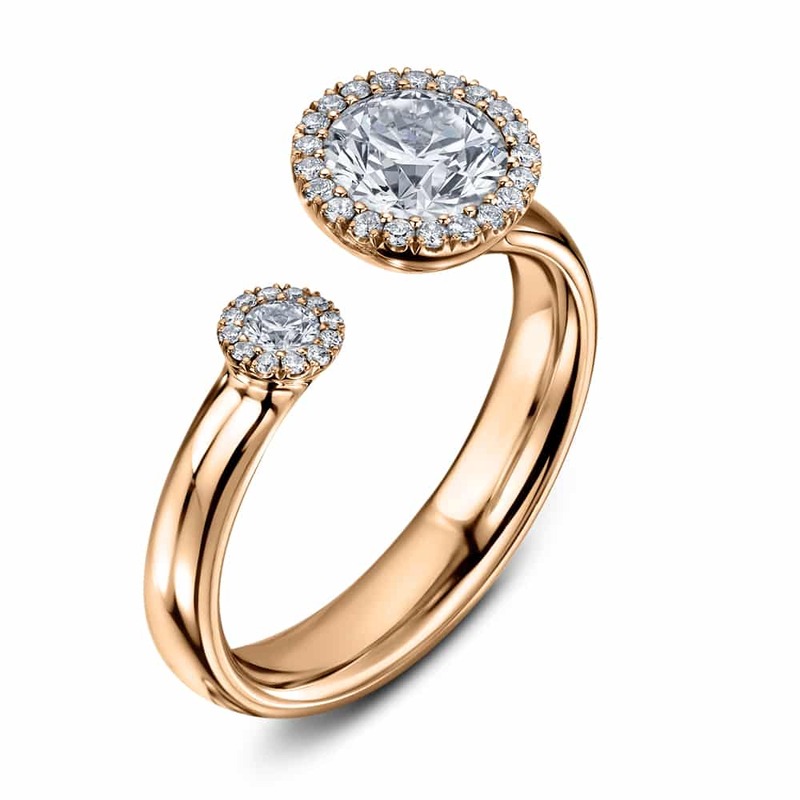 The form and dimensions of the ring stays relatively constant as the centre stone changes in size. It is the halo stones which change accordingly. Image shown for the 0.45, 0.50 is the 0.45ct version, selecting 0.75ct, 0.90ct and 1ct will show the 1ct version. Available in a host of gemstones including diamond, coloured diamond, sapphire and ruby, and in platinum or 18ct white, rose or yellow gold settings. The ring is also available in princess, emerald and pear cuts.